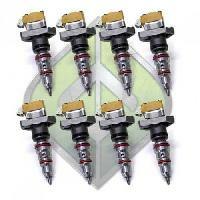 Performance injectors add power and improve performance. The injectors in the 1994-1997 Powerstroke are very low flow from the factory. The smallest performance injectors make a large improvement in the OBS towing and driving in real world conditions. The best selling injectors for the 1994-1997 are the stage 1 and stage 1.5 injectors.